Great for a second office unit, mobile therapy, sporting events, start up clinics, prescription to patients. Ultrasound is a form of deep heating in which sound waves penetrate into the soft tissues. It is especially useful in relieving acute pain and aids in tissue healing. 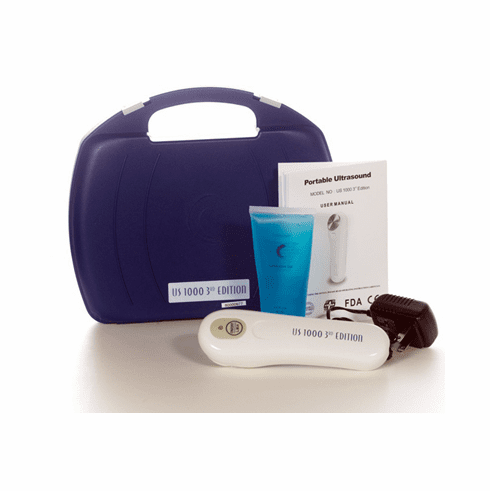 This portable ultrasound unit is great for patients who need therapy away from a office or hospital setting. This unit is an FDA approved portable therapeutic ultrasound unit, now with 3 power output settings. Caution: Do not submerge unit in water.